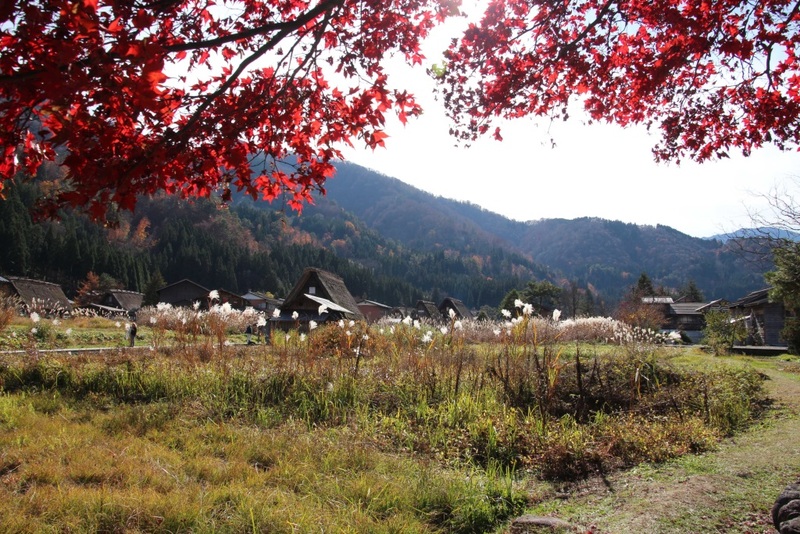 Shirakawago, also kwown as Ochimachi is on the UNESCO Herritage list together with 2 other villages, Ainokura and Suganuma (also known as Gokayama). 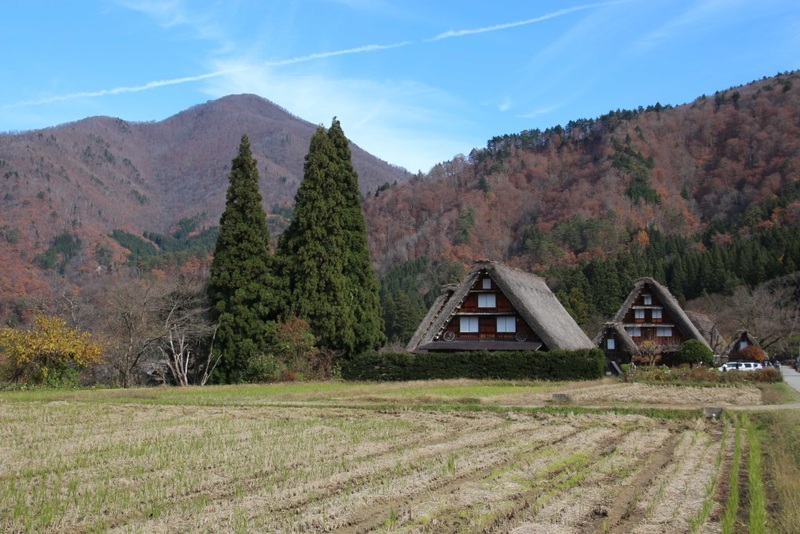 The villages are known for the farmhouse build in Gasho-zukuri style. 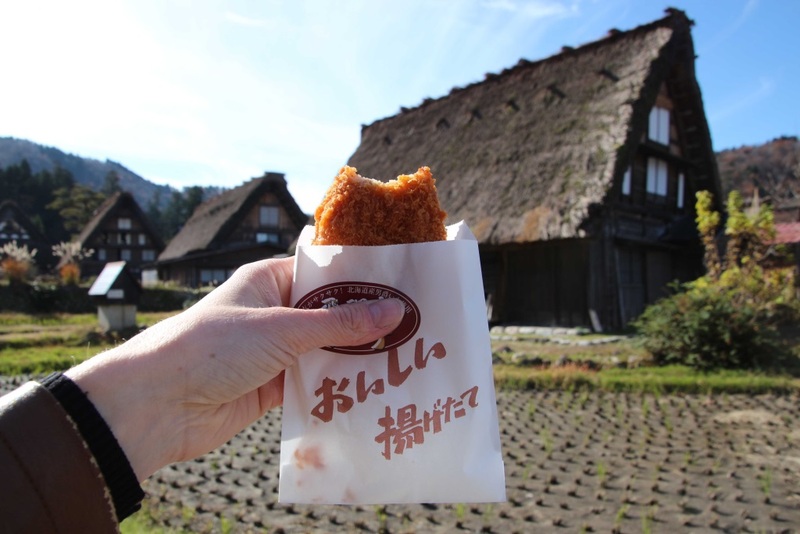 The houses with the thatched, pointed roofs are only found in the Japanese Alps. 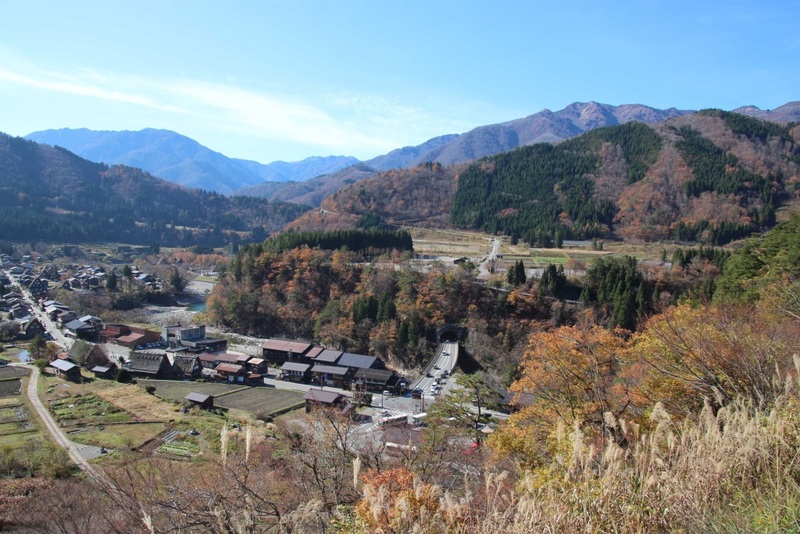 I think it doesn’t matter which season you’ll visit these villages, whether it is with the blooming cherry blossom, the autumn foliage, or when the village is covered in a thick layer of snow. It will all have its own charm. 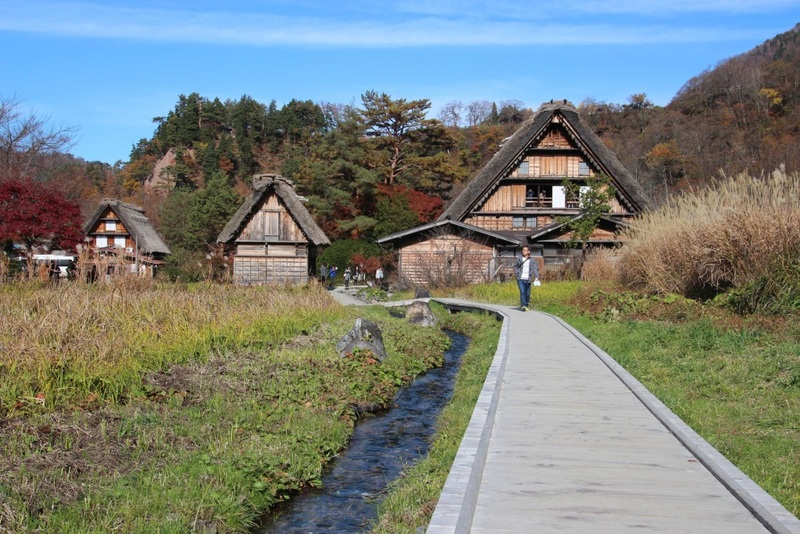 When I saw pictures of these cute villages, I knew I wanted to visit it. 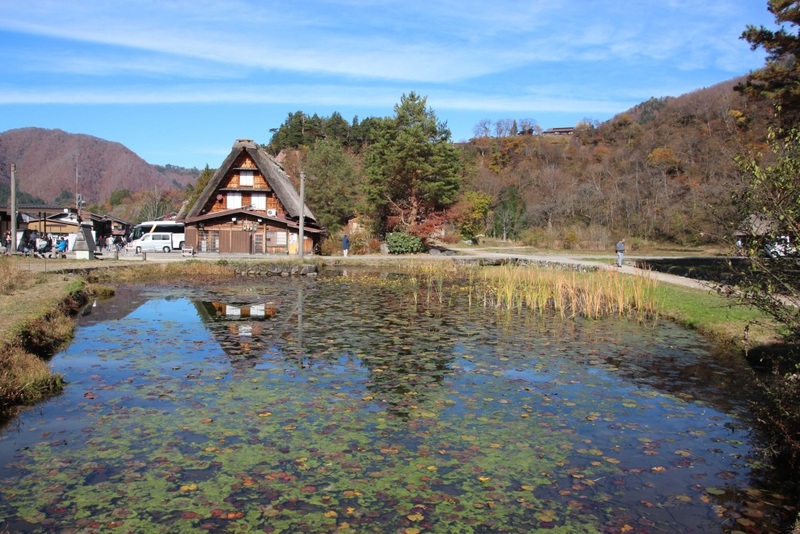 Shirakawago is probably the most visited, as this village is connected with a toll tunnel and only takes 50 minutes to get to the village from Takayama. My husband and I decided to drive around in the other direction. The toll tunnel is a long tunnel, and doesn’t give any scenic view. This route goes on the route 158 and 156 and takes about 1 hour and 20 minutes. 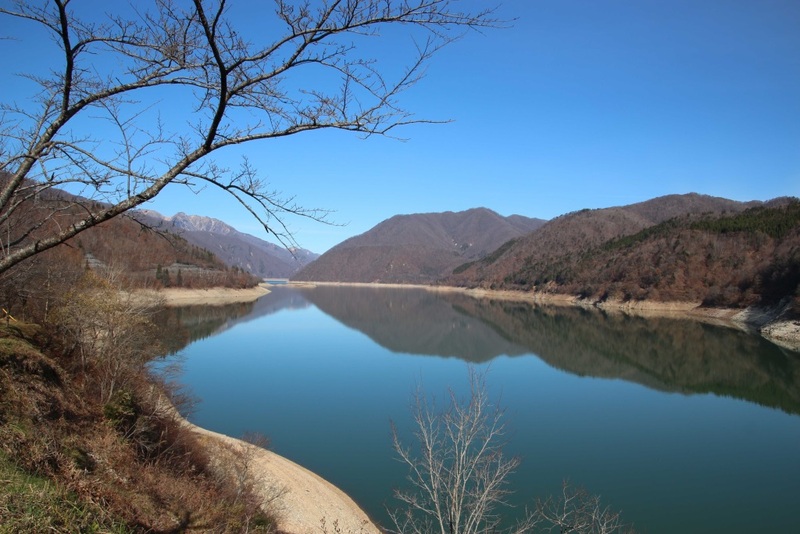 We passed Miboro lake, which was scenic with some hills in the background. 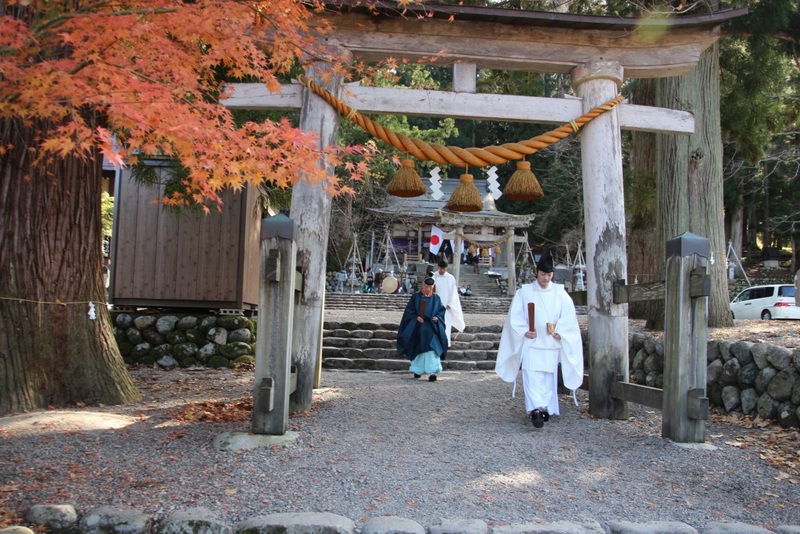 Along the way we already could see some Gasho-zukuri style. Due to some road constructions it took us longer as expected. Therefor we took the toll tunnel on the way back. We arrived around 11 AM on a Sunday morning. 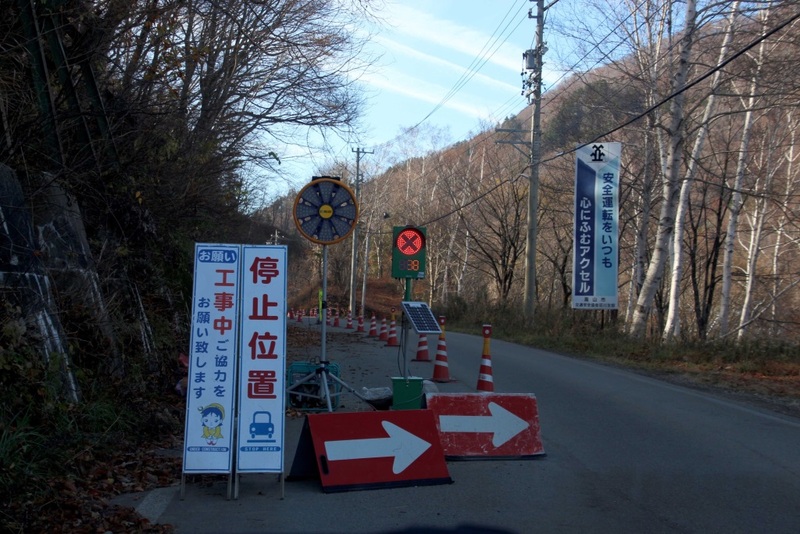 This means the village will be busy, as a lot of local people are going on (day)trips on the weekends. 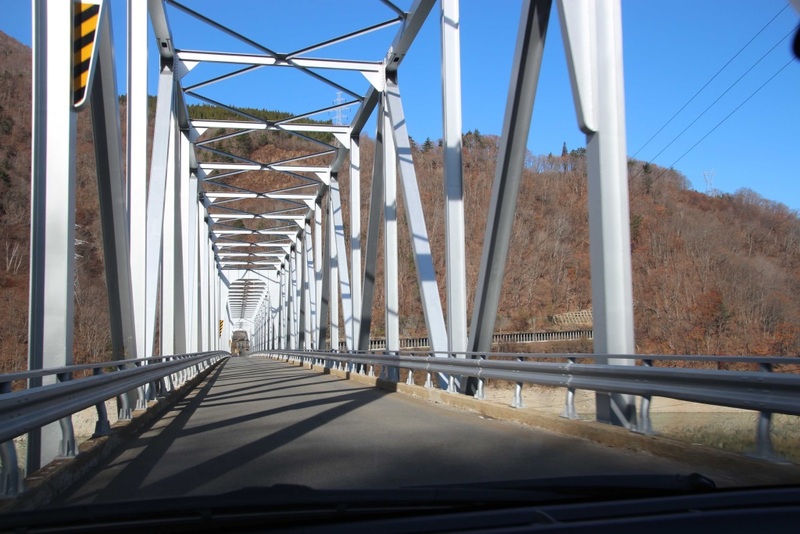 There is a viewpoint called Ochimachi Observatory. With the car you can drive all the way up and park the car on the parking lot. This view is great! You can see the whole village and in the background there are mountains. There is a stair for people who doesn’t have a car. After we took a lot of photo’s at the observer deck, we drove back to the village. The village itself is forbidden for cars so you suppose to park your car in the parking lot. There are a few around the village. 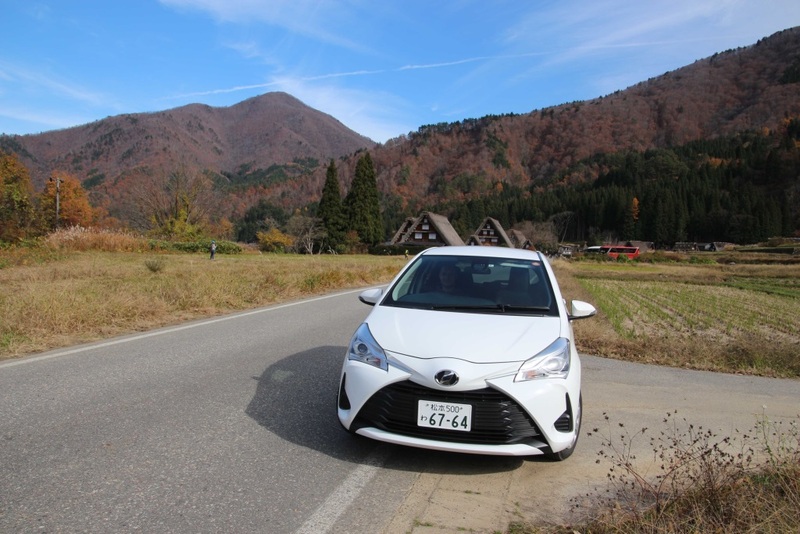 We parked on the parking lot at the South of Shirakawago. From there it was only a few minutes walk. First we visited the temple of Myozen-ji. 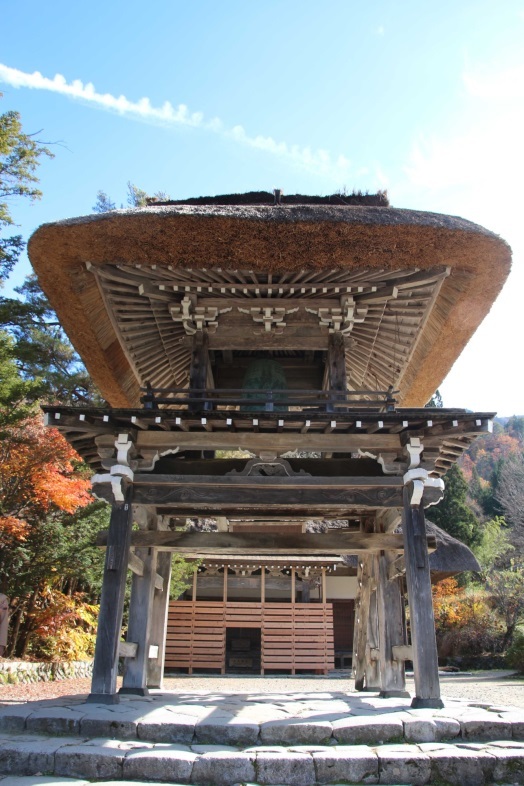 The wood structure and roof thatched gate was gorgeous. 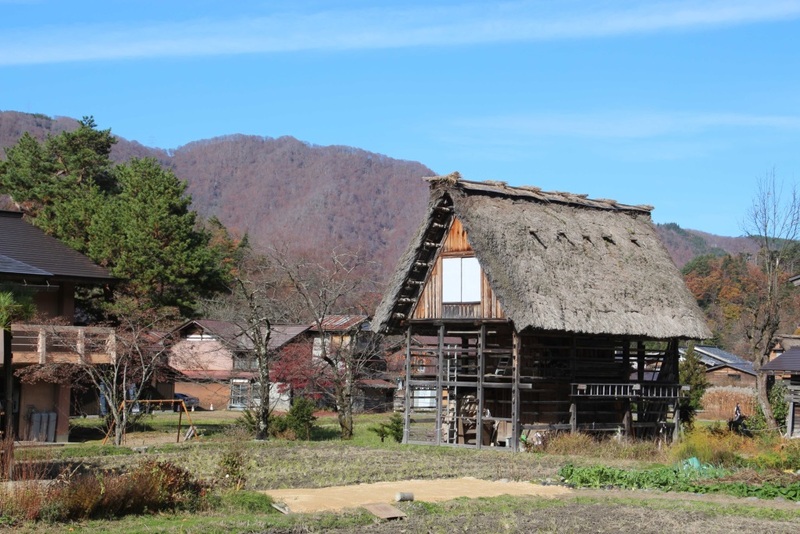 Next-door there is a Myozenji-ke farmhouse. This is were the priest of the temple lives. It was really interesting to see the temple inside. There where photo’s of how they construct the thatched rooftop and on the upper levels there were mainly tools how they made the houses in this area. The view from the windows were really nice! 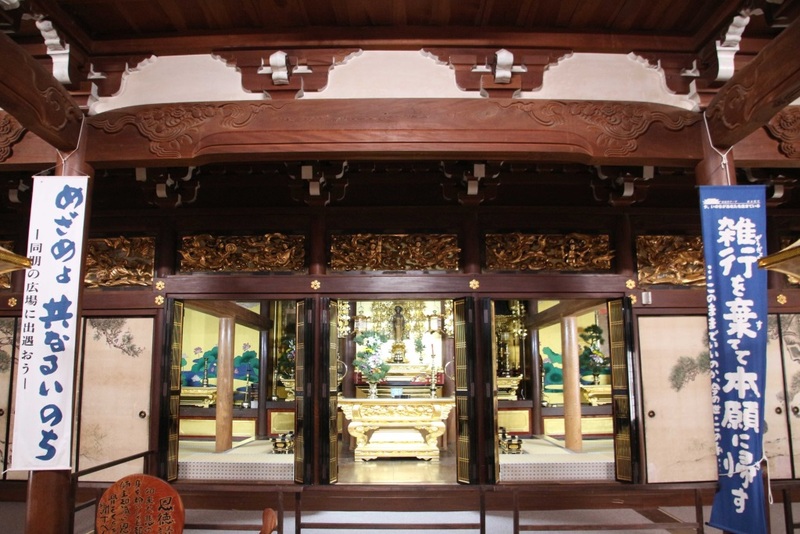 Other museums to visit are Kanda-ke house, Nagase-ke house and Wada-ke house. 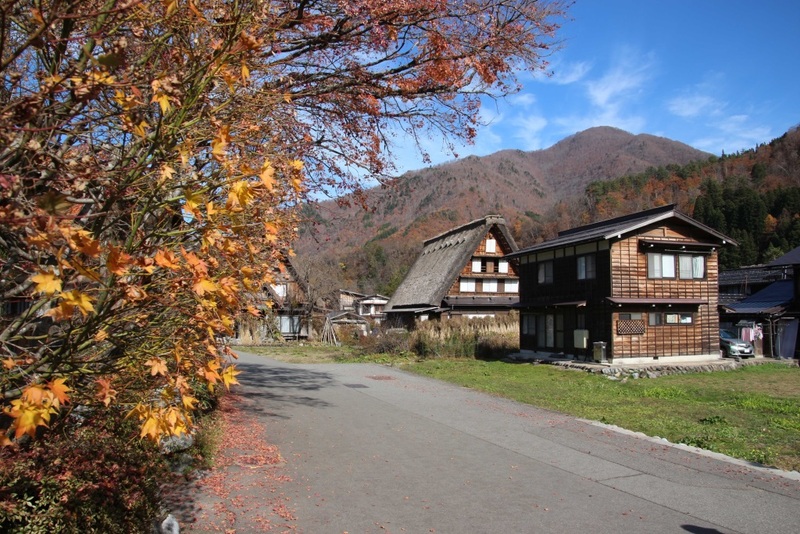 Walking around the village is really pleasant. 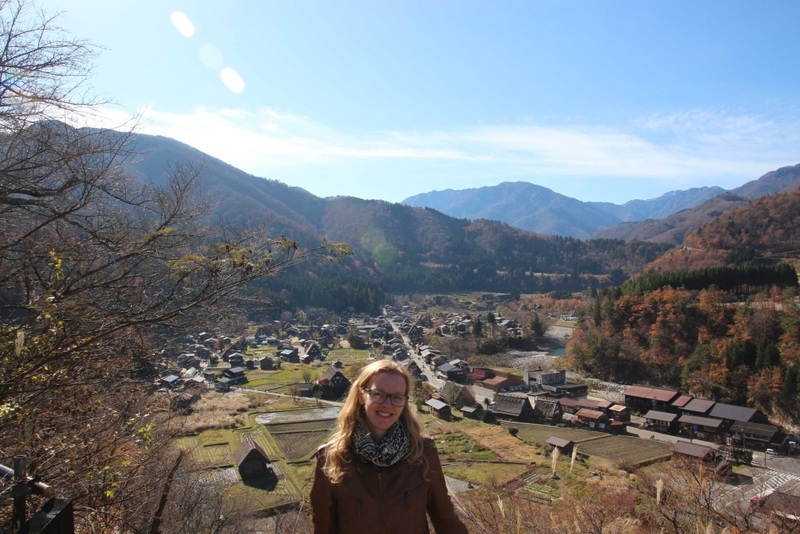 You just walk between the Hida style houses and the farming fields. It is easy to get around. We got a map at the parking lot, but we didn’t really needed it. To have a nice view over the river you can go to the pedestrian bridge which is connected to the big parking lot were most of the buses stops. 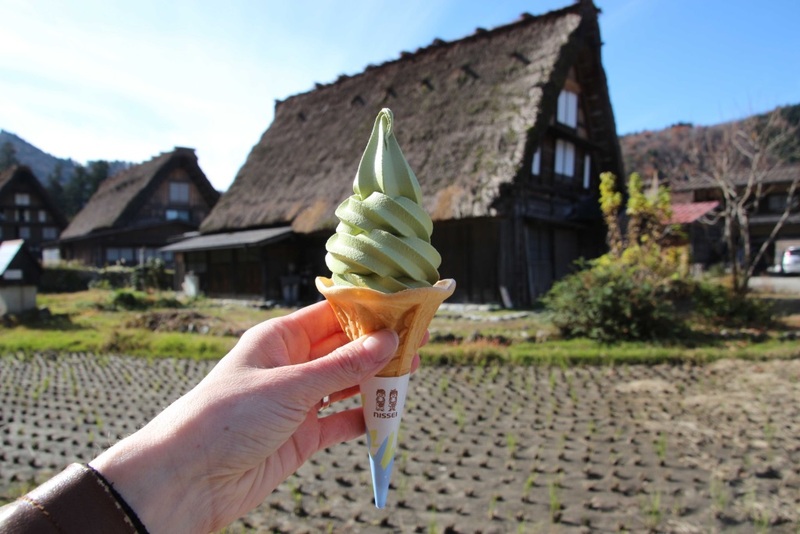 At a lot of places you can buy some small snacks like Matcha ice cream or Hida beef croquette. We both needed to try this and it was lovely. If you walk really slowly and take a look at every house then you need a half day to explore this village.